Are you starting to wonder how you will stay on top of your health goals, now that the new year is in full swing? School is back, we are back at work and the rhythm of the year starts to kick in – mornings become getting kids out of bed (if you have them), getting ready for work, the kids to school, then work itself, then the afternoons are kids activities, our own activities, homework (kids and our own), dinner, cleaning up and bed to start it all again the following day. Busyness of the day has just gone up a notch, so how do we keep motivated and on track, to achieve any health goals that we set at the beginning of the New Year? So how do you menu plan? are there any mornings that you have to be out the door earlier than normal? are there any evenings with late commitments (kids or your own), which means preparing and eating dinner is going to make it very late? any days with commitments over the lunch period? do you have any social engagements? Note any of the above onto your Menu Planner, as you will want to factor these in when planning the meals. For instance, on the mornings you have to be out the door super early, you could plan a ‘grab-and-go’ breakfast for that day like a Green Smoothie or Chia Seed Pudding, which is made the evening before. 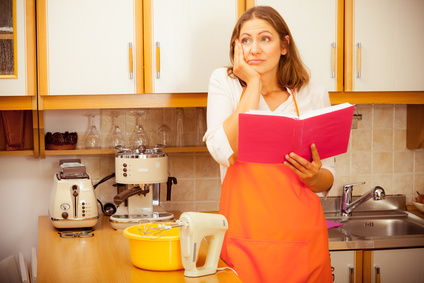 Evenings when you will be getting home late, you could plan a leftover meal from the night before or have a frozen meal that was prepared the weekend prior. 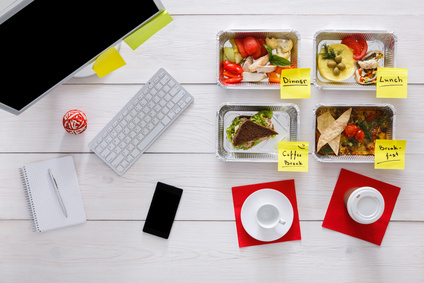 Working through lunch could be, meeting the client at a cafe that will support you on your health goal choices or taking a packed lunch. This is all about being creative, so that you can still focus on your health goals, with out giving up on them because ‘life’ is too busy and wont let you. Now that your commitments are on the Menu Planner, fill in the Menu Planner with breakfast, lunch, dinner and snack ideas. For me I have accumulated a list of recipes that a quick, easy and tasty, which cater for more than the meal that they are being prepared for. This way I have left-overs for either lunch or dinner the following day. This also allows me to factor in my other commitments. I will also have one or two evenings where I create a meal from a new recipe I have found or one that has inspired me. This way, I am always adding to my growing book of recipes. Another important note to add to the Menu Planner, is any prior preparation that is required. There is nothing worse than pulling all the ingredients out for dinner and realising that the nuts needed to be soaked or a sauce had to be made the day prior. On the Menu Planner, I will note any prior preparation on the day before, eg if I require Almond Milk for the Green Smoothie for Wednesday, I will note on Tuesday that I need to put the almonds onto soak. This way on Wednesday, I can make the Almond Milk and then make the Green Smoothie. If Wednesday is a ‘grab-and-go’ day, then I will note on Tuesday evenings to make both the Almond Milk and the Green Smoothie. Once the Menu Planner is completed, I will list all the ingredients I require including the amounts. This includes the spices and herbs. I will then check the pantry to see what I already have, marking them off the list. I now have my shopping list for the week. Like any new habit, initially menu planning can take some time, however with practice, it will become easier and the time taken to plan for your week will decrease. What I love most about menu planning, is knowing that I am focusing on my health goals and those times when I am not feeling very inspired, I know that I have the ingredients to create a yummy meal. Here is the Menu Planner I use. Have you tried menu planning? What has been your experience? Do you have any tips to share, that have supported you when menu planning? I would love to hear so please leave a comment.